Enjoy your holiday on the island of Poel, built in 2016 in this house. The beautiful conservatory is bright and friendly, here you can sit together with the whole family. 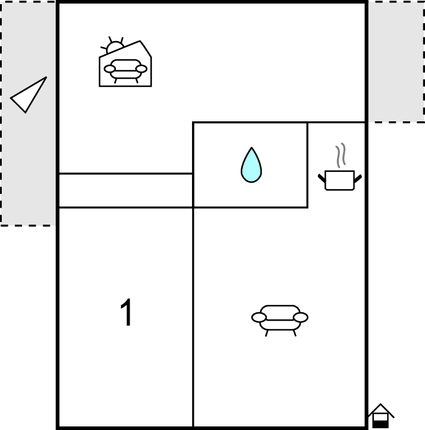 The living room has an open kitchen and a sofa with two beds. The separate bedroom is equipped with a double bed. Weather permitting, you can choose between two terraces, one on the north and one facing south. Child's bed and chair can be ordered prior to arrival (subject to availability). The beach is within walking distance. In the immediate vicinity is a surf and water sports school. Timmendorf beach on the island of Poel offers everything you expect from a Baltic Sea: A small boulevard with shops, restaurants and cafes, a large sandy beach with beach chairs, two playgrounds, go-kart track, a port, a water sports provider, a quiet cliffs and dog beaches, tourist facilities, fishing trips, bicycle rentals, a riding stable near a bus connection to Wismar, passenger ships with the goal Bolton and Lübeck. The island is a haven for cyclists, as many roads and designated trails are only released for cyclists. 2 km away offers Poeler Plümper Hus wellness. Or make from Wismar a special sailing trip with the cog Wissemara. Numerous tourist offers round out the holiday offer. This modern house is made from brick or stone and was originally built in 2016 and refurbished in 2017. The agent has rated it as a three star property so it is a well-kept house, equipped with standard furniture. It is also good value for money. The houseIt is located in Insel Poel, 21km from Wismar. The nearest airport is 78km away. 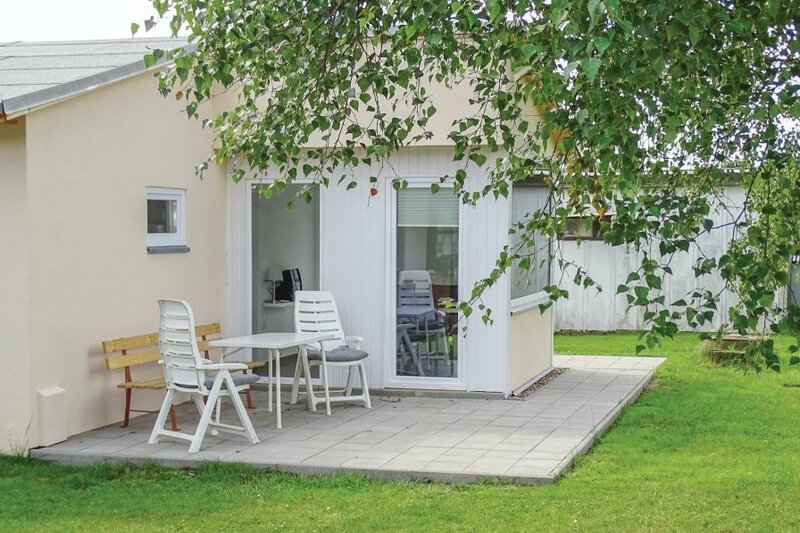 It is set in a very convenient location, just 50 metres away from a sandy beach. There's also a restaurant only 300 metres away. You can also park on-site at no extra charge. The house is adequately equipped: it has a refrigerator. It also has a barbecue and some garden furniture outside.